Sometimes Firewalls can affect connectivity. You can see if the connection issue is caused by a firewall by turning it off temporarily and then trying to visit a website you trust. IMPORTANT NOTE: Turning off your Firewall makes your PC more vulnerable to hackers, worms, or viruses. Turn it back on as soon as possible. 1. Click on the Windows button in the bottom left corner of the screen. 2. Type Command Prompt into the Search bar. 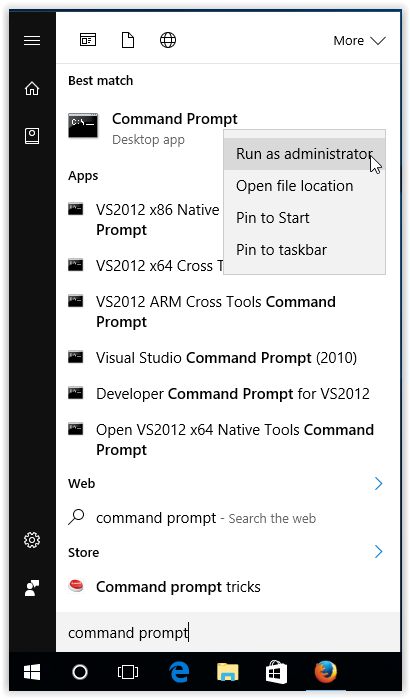 Then right click on the Command Prompt icon, and select Run as Administrator. 3. If prompted, select Yes to allow changes to be made to the computer. 4. 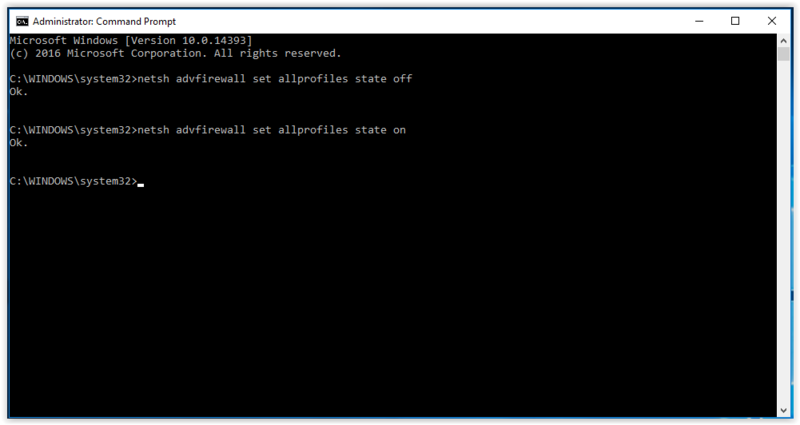 When the Administrator: Command Prompt window appears, type netsh advfirewall set allprofiles state off, and press Enter. 5. After doing so, open a web browser and go to a trustworthy website to see if the connection is still available. 6. 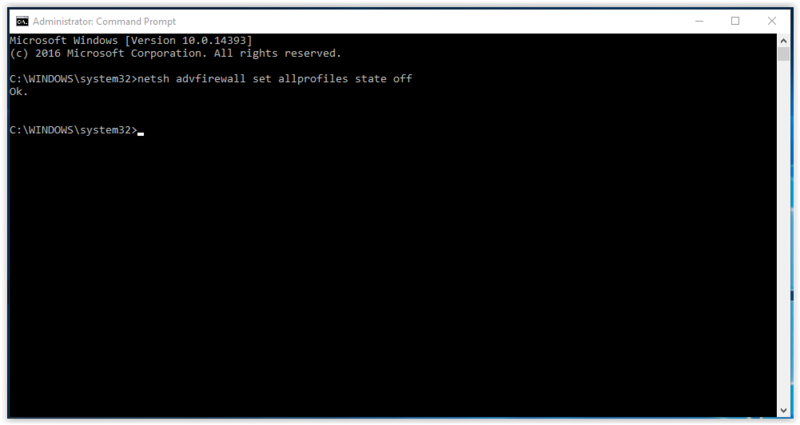 To turn firewalls back ON, type netsh advfirewall set allprofiles state on then click Enter on the keyboard.